WINDSHUTTERS™ installs retractable awnings, rolling screens, and other products that are designed to defend Sarasota, Florida, homeowners against sun exposure and pesky backyard bugs. Since 1972, we have helped people throughout the region find solutions for these issues thanks to our experienced team and high-quality, specially crafted products. 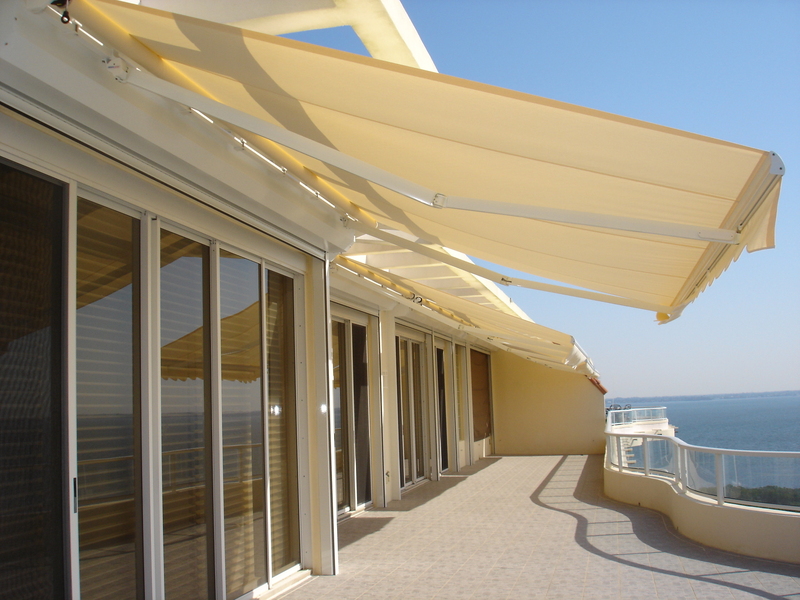 Retractable awnings – Available in both a motorized and manual version, retractable awnings provide shade when the sun is harsh or it’s raining, but can also be retracted to provide unfiltered sunlight when needed. Pergola awnings – Offering an elegant, modern appearance, pergola awnings beautify outdoor living spaces while also providing cover from the sun’s rays. Rolling insect screen – These products are produced at our facility, factory direct and specially built with a tightly woven mesh to ensure no insects intrude. One feature that rolling insect screens can provide that awnings or solar screens cannot is a no-see-um option that is designed to keep even the smallest bugs out. Insect screens are ideal for homes near the water where insects such as mosquitoes and flies can be an annoyance throughout the year. Rolling solar screen – Rolling solar screens are a popular option for outdoor areas because they effectively block harsh sunlight. This product transforms porches and lanais into comfortable spaces that can be enjoyed even when the sun’s rays are at their strongest during the day. To learn more about WINDSHUTTERS™ retractable awnings, rolling solar and insect screens, and other sun and insect protection products we can install for Sarasota, FL, residents, contact us today.